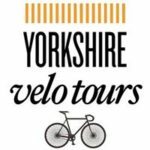 At the heart of Yorkshire Velo Tours is a passion for road cycling in Yorkshire. We have a well qualified, knowledgeable and enthusiastic team to make your cycling experience one to remember. Our cycling tours, rides and routes and group events are designed for riders of all abilities who want to enjoy what Yorkshire has to offer.